WASHINGTON D.C. (Bloomberg) -- General Motors Co. extended a recall over an ignition-switch defect to the Opel GT. U.S. regulators are investigating why GM took years to recall 1.6 million cars over an ignition-switch defect linked to 13 deaths in crashes. The recall covers six models in the United States, including the 2005-2007 Chevrolet Cobalt, 2007 Pontiac G5, 2003-2007 Saturn Ion, 2006-2007 Chevrolet HHR, 2006-2007 Pontiac Solstice and 2007 Saturn Sky. The other model is the 2005-06 Pontiac Pursuit that was sold only in Canada. GM's Opel division in Europe on Thursday recalled 2,300 units of the 2007 GT sold in Europe and Russia. The roadster shares a platform and components with the Saturn Sky. An Opel spokesman told Automotive News Europe on Thursday that there have been no accidents or injuries involving the GT affected by the recall. The National Highway Traffic Safety Administration announced a probe on Wednesday. The agency could fine GM as much as $35 million, which would be the most ever by the agency, if it finds the largest U.S. automaker failed to pursue a recall when it knew the cars were defective. GM said it was "deeply sorry," as it more than doubled on Feb. 25 the number of cars it will fix and expanded the number of models affected. "It is a major event for General Motors to apologize," said Clarence Ditlow, executive director of the Center for Auto Safety, a Washington-based advocacy group that pushed for the expanded recall. "NHTSA will still want its penalty. They'll want to send a message to the other automakers to toe the line better." The automaker, like other car companies, faces a legal obligation to act on and report safety-related defects in a timely manner. Congress last year increased the maximum fines NHTSA can impose to $35 million to hold automakers more accountable after Toyota Motor Corp.'s recalls in 2010 due to sudden and unintended acceleration problems plaguing some of its models. Toyota and Ford Motor Co. have paid the largest fines of more than $17 million for delaying recalls. GM said key rings that are too heavy or jarring can cause ignition switches to slip out of the run position, in turn causing the engines to shut off and a crash-sensing algorithm to misfire in a way that deactivates airbags. GM first identified a potential safety issue in 2004, according to a timeline the company supplied to NHTSA on Feb. 25. The chronology outlines events that happened between receiving the first field reports and issuing a recall. GM engineers proposed a solution in 2005 that the company never implemented, according to the timetable. GM fixed the ignition switches in 474 cars under a service bulletin to dealers, a step short of a recall, that was issued in 2005 and updated in 2006. NHTSA officials asked GM in 2007 about Cobalt ignition switches after discovering a fatal crash linked to airbag failure, which led to an internal company investigation. Part of the current agency inquiry may be why the company didn't follow up with a recall at the time. 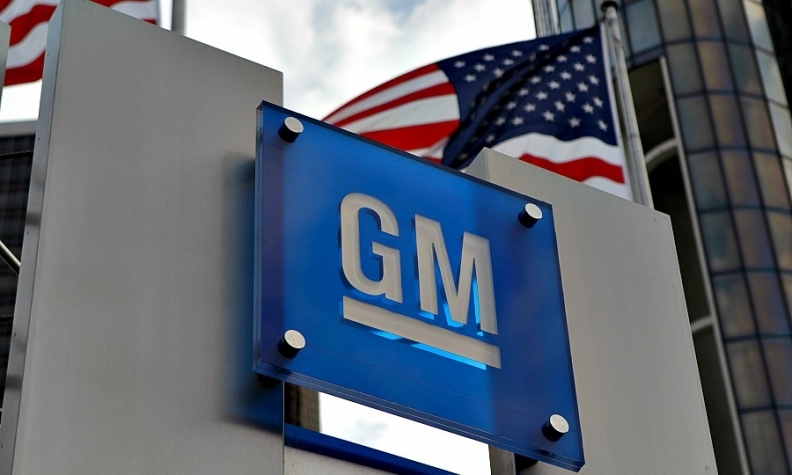 "The chronology shows that the process employed to examine this phenomenon was not as robust as it should have been," GM's North America president, Alan Batey, said in a Feb. 25 statement. "Today's GM is committed to doing business differently and better. We will take an unflinching look at what happened and apply lessons learned here to improve going forward." The agency considers the frequency of the incidents, the number of cars covered by the recall and the severity of injuries in determining how much to penalize a manufacturer, said David Strickland, NHTSA's former administrator. "They look at the egregiousness of the facts, whether a manufacturer knew or should have known," said Strickland, who left the agency in January and is now an attorney for Venable LLP in Washington. GM's delay in telling NHTSA what it found in internal investigations shows a reporting system set up after the Firestone tire recalls in 2000 isn't working, U.S. Senator Edward Markey said in a letter to the agency. The Massachusetts Democrat asked NHTSA to release documents GM provided about fatal crashes in Maryland and Wisconsin, as well as information about how regulators evaluated the defect after they became aware of it. "The current Early Warning Reporting system is too little, too late," Markey said in a statement. "Making more information public can help prevent accidents and deadly crashes." NHTSA is urging owners and drivers of the affected cars to use only the ignition key while operating their vehicles, and to take them in for the free repair as soon as it's available, said an agency spokesman, Nathan Naylor. "NHTSA will monitor consumer outreach as the recall process continues and will take appropriate action as warranted," Naylor said. The size of the recall and link to fatalities may get the attention of consumers who ordinarily tune out recalls, said Jessica Caldwell, a senior analyst at Edmunds.com. Toyota's sudden-acceleration recalls resulted in a loss of showroom traffic for a few months, Caldwell said. When the automaker offered incentives, consumer interest quickly went back to normal, she said. "It can resonate with consumers, but it's short-term," Caldwell said of recalls. GM may be in a stronger position than Toyota to recover, said Arthur Henry, a senior analyst with Kelley Blue Book in Irvine, California. The company has reorganized itself and its top management since its 2009 bankruptcy. "You have an old GM, and you have a new GM," Henry said. "The majority of the models being recalled have been discontinued. The product they're offering with the new GM is going to be different."